If you're looking for statement denim, look no further! 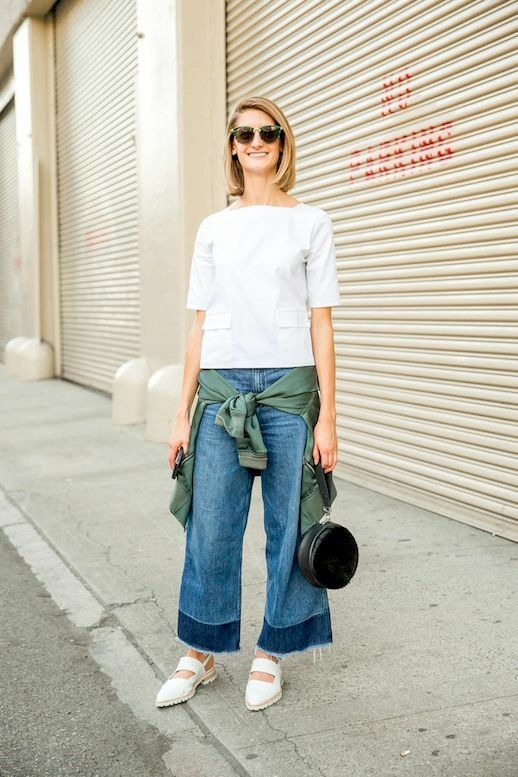 These cropped wide-leg jeans with a contrasting frayed hem are guaranteed to get you noticed. Her structured white top, silk bomber tied at the waist and white flats help keep the spotlight on these one of a kind jeans.